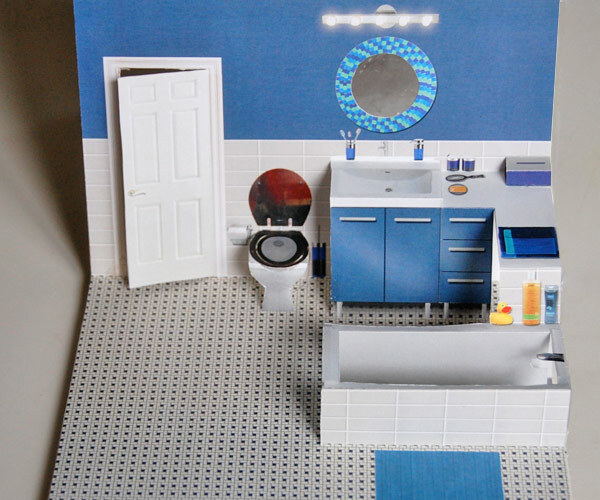 With two letter-sized sheets of paper and your color printer you can create a spacious pop-up bathroom fully equipped down to the last toothbrush. The PDF file contains templates for the two interlocking pop-up cards and a cut and fold guide. Use this as an original greeting card, a toilet-training tool, or slip it right into the Pop-up Paper House for an incredible foldable toy.